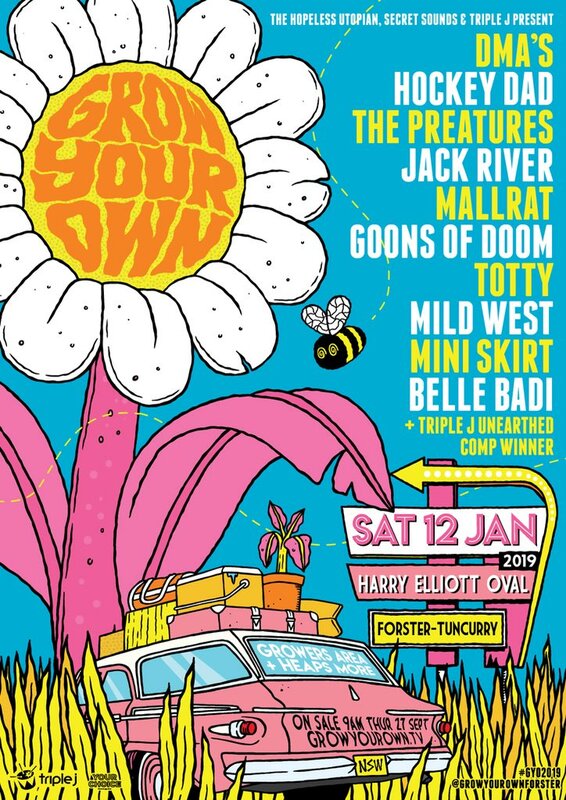 Grow Your Own is headed to Forster-Tuncurry in January, with DMA's, Hockey Dad, Jack River and more in tow! We're breaking out the velvet rope and reserving a spot on the lineup for one act on triple j Unearthed from Newcastle, the Mid North Coast or Coffs Harbour to join in on the action! To be in the running, you've just gotta have your songs up on Unearthed by December 9th. Don't stress if they're pending - that's fine - we'll listen and make a decision after that. Here's the website. Good luck!